have appreciated the officer who his friends and colleague call as Param. 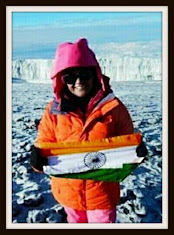 A popular TV anchor calls it the “image of the day” adding that “top Indian bureaucrat leading by example. Param Iyer cleans a toilet in Warangal to spread a msg on hygiene #SwachhBharat”. In the last few months, Iyer and his team have visited many a place across the country to make the Clean India drive a success across the country. Earlier this month, he has applauded the chief secretary of Assam and his team “for encouraging and rewarding clean villages”, and then giving kudos to the administration of Nagpur and Palghar districts of Maharashtra for observing "Coffee with CEO" once a week with sanitation champions. Roping in Iyer for heading the Clean India mission itself was an innovative idea. A 1981 batch Uttar Pradesh cadre IAS Iyer took voluntary retirement eight years ago. But he was brought back from the World Bank to take charge as drinking water and sanitation department that also handles the Swachh Bharat mission. 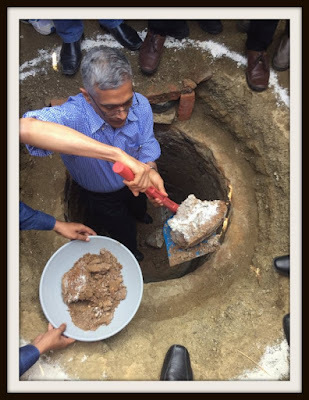 In a post dated February 4, 2016, BoI titled the post: “Parameswaran Iyer: How this ex-IAS and new drinking water and sanitation secretary may give a Vietnamese twist to Swachh Bharat Mission”. Iyer’s appointment was on a contract basis for two years. As an IAS officer before his voluntary retirement, he worked in the union ministries of defence and textiles in1980s, and was then collector and district magistrate in UP’s Bijnor district. But he developed expertise in water and sanitation when he worked with the United Nation’s World Food Program (1998-2006). There, he was a senior water and sanitation specialist. He was then a director-ranked officer on deputation. But he decided to work abroad. And in June,2009, he took voluntary retirement after the DoPT reminded him of his failure to join back the service. In the World Bank, Iyer worked on water supply and sanitation issues. Before returning to Government of India, he was based in Hanoi, Vietnam. Earlier, he was posted in Washington on Egypt and Lebanon and prior to that in the Bank’s Water Anchor. This looks like a IAS PR stunt. As Wikipedia states "In 2015, it was reported that as many as 100 IAS officers have been in the list of corrupt bureaucrats and have come under the CBI scanner for alleged involvement in corruption cases.Recently, several Chief Secretaries and Principal Secretaries were arrested in graft cases and laundering. In recent years, the Appointments Committee of the Cabinet has dismissed few IAS officers for non performance."